Sunday, June 7, 2015 at 20h. 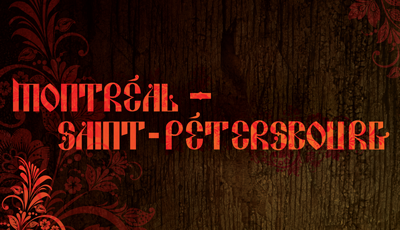 The Choeur Cosmopolite de Montréal under the direction of conductor Dmitri Zrajevski presented Montréal — Saint-Pétersboure, an evening of music an poetry and music from Russian composers and poets. Shegolev arranged several pieces for the concert and the evening marked the premier of Je vows aimais, a romance for voice and piano composed by Shegolev on a poem by A. Pushkin.